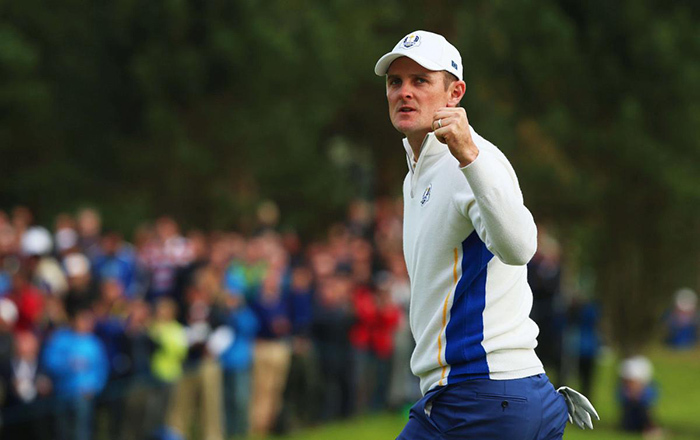 ‘Despite the fact we have won the last three Ryder Cups, I don’t think there is going to be any complacency in this team,’ said Justin Rose a week prior to the Ryder Cup, which begins on Friday the 30th September. Team Europe has been a dominant force in the match play showdown since Martin Kaymer nailed his putt for a miracle comeback at Medinah in 2012. Rose has been a huge part of the continued success, contributing six points from nine matches in his career, and is a stalwart of the tournament. He expects a closely contested event as the biennial showdown returns to the United States after two years, following the convincing European win at Gleneagles in Scotland. Hazeltine Golf Club is the 2016 venue and Team USA contains four of the world’s top 10, making it a crew to be feared. Europe, on the other hand, has a wealth of Ryder Cup experience in its stable. The team will be led by Darren Clarke and senior players Kaymer, Rory McIlroy, Lee Westwood, Henrik Stenson, and Sergio Garcia will help he newcomers to acclimatise. Golf is an individual sport, which makes the coming match play tournament a unique event as the team dynamic is of utmost importance. The golfers are playing for each other, for their continent, and for a place in history.